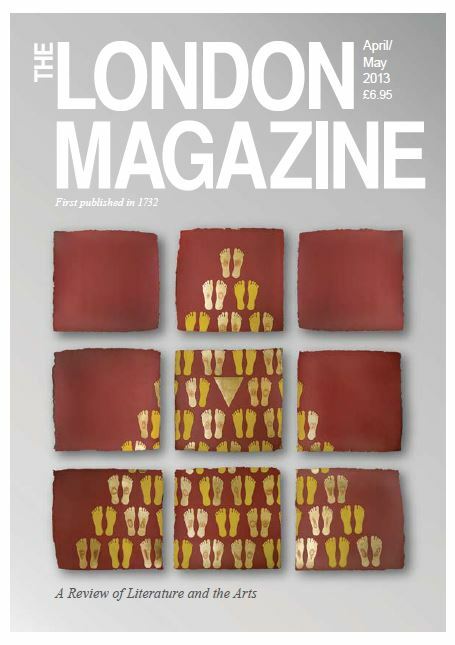 The London Magazine is the UK’s oldest cultural and literary journal featuring the best original poetry, short stories, cultural reviews and literary essays since 1732. For 280 years, The London Magazine has been an indispensable feature on the British cultural landscape. Responsible for publishing some of the most significant literature in British history from Wordsworth, Shelley, Keats to T. S. Eliot, today it remains at the forefront with the best contemporary writing. Our most recent contributors and features include Edward Lucie-Smith, Avant-Garde – what Avant-Garde?, Peter Abbs Eating from the Tree of Paradise: The Apprenticeship of Carl Jung, Eamonn Gearon On Arabs and Ignorance, Michael Horovitz, Postcard from Ireland as well as poetry from the Costa Prize Winner Christopher Reid and Orange Prize Winner,Helen Dunmore. Don’t miss out on this essential addition to your reading featuring new and established writers. Simply visit: www.thelondonmagazine.org to subscribe today. Published bi-monthly, we are currently offering an introductory 6 month, 3 issue offer for just £25 (includes postage to US). Alternatively you can purchase an ebook version of our current and past issues from amazon direct.